Tonight, for the first time, craft beer meets Virtual Reality! 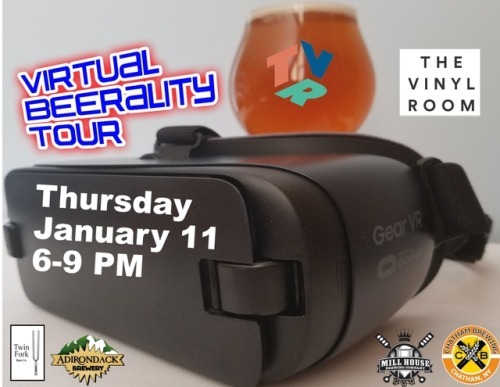 Come to the Vinyl Room in Wappingers and experience Virtual Beerality, drink awesome local NY beer, with buy a pint, keep the glass specials and an amazing art show as well ad the usual free video games and awesome vinyl spinning all night. FREE!